It may be hard to believe, but it's already time for the fourth debate among the Republican party's roster of 2016 presidential hopefuls. Florida Sen. Marco Rubio was the breakout star of the third debate, which aired on CNBC and focused on economic issues, but the fourth Republican debate will be anyone's game. Retired neurosurgeon Ben Carson and real estate mogul Donald Trump are still leading primary polls of likely Republican voters, but there's plenty of time for that to change before the 2016 election. So if you want to tune in to Tuesday's event, here's how to stream the fourth Republican debate online. As with the first Republican debates, Tuesday's event will be divided into two segments. The primetime debate will be reserved for candidates with polling numbers of at least 2.5 percent. The main debate will begin at 9 p.m. Eastern time, and the earlier undercard debate will take place at 7 p.m. Eastern time. 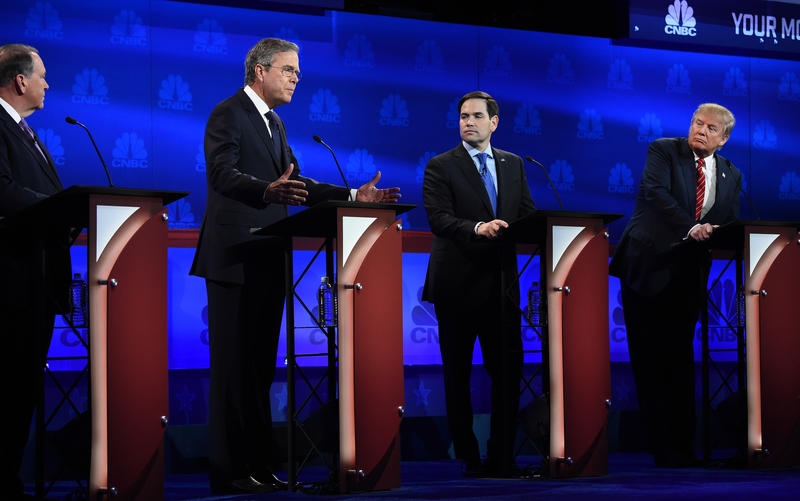 Like the third Republican debate, Tuesday's debate won't include opening statements from the candidates. If you have a pay-TV subscription that doesn't include the Fox Business channel, you're also in luck: Fox is collaborating with several partners, like DirecTV and Suddenlink, to make one available through those services specifically from the debate. Fox Business has expanded its distribution plan for the debate, and it will "unbundle" Fox Business for cable and satellite packages that don't normally include Fox Business, so you'll still be able to watch the debate online, even if Fox Business Network isn't in your TV subscription package. And if you do have a TV subscription that includes the Fox Business Network, you can also access live streaming of the channel, including the debate, on your tablet and smartphone via the Fox News Go app.